Julian Assange is the founder of Wikileaks. Wikileaks published information which outed the Democrats during the 2016 campaign. They also published the classified documents given to them by Bradley Manning (aka Chelsea Manning). 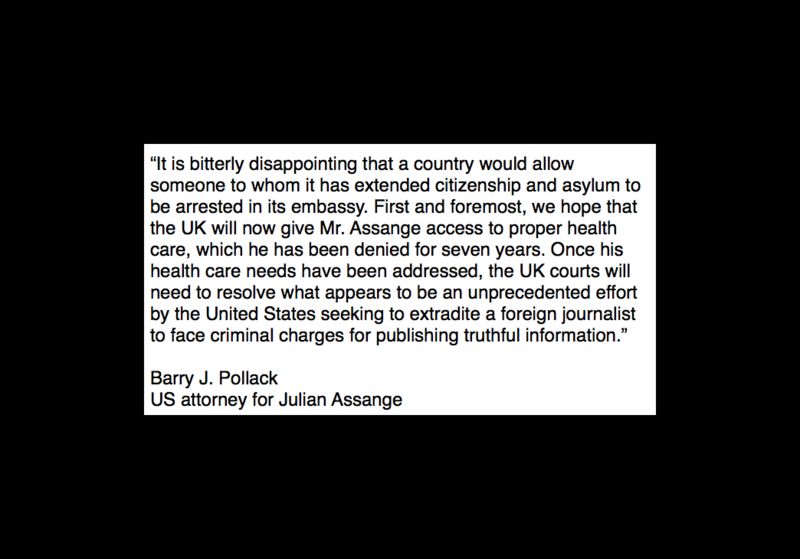 Today, Assange was “arrested on behalf of the United States” by British authorities, just as Ecuador ousted him from their Embassy in London. He will be extradited to the United States for trial. 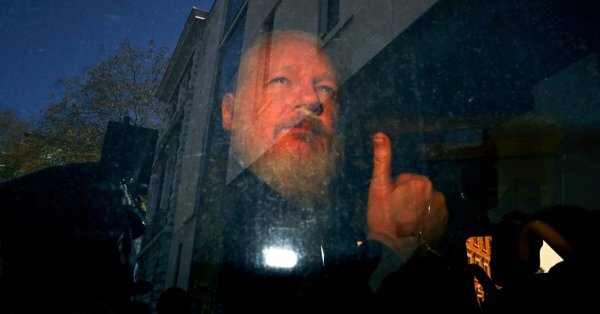 The question: Is Julian Assange a “journalist,” a “hacker” or just a “publisher?” Is he a hero or a scoundrel? Did he do the hacking into the classified government computers or did he encourage employees like Manning or others to do it for him? Many view him as a hero after his outing of the Democrats in during the 2016 Presidential campaign. But his involvement with the Manning release of classified government documents is what the charges are all about. Manning was a traitor, of that there is no doubt- and her clemency by Obama was a slap in the face to all of our military. Manning released the classified information, Assange published it. Julian Assange has won many journalism awards over the years. Others view him as a journalist, even if the United States does not. Wikileaks offered a $20K reward for information leading to the arrest of the perpetrator when Seth Rich was murdered. He often attempted to make the case during the 2016 election campaign that Russia was NOT his source for the leaks of DNC emails (no one was listening). Today AP reported that the Russian government issued a statement on his arrest, calling it “rude,” and saying that they hoped the US would preserve his rights. Julian Assange is a mixed bag, an enigma for certain. He’s done some great things, and pushed the envelope on others. Will the US attempt to force him to release his sources? Wikileaks has never given up a source. Assange is a citizen of Australia, not the US. The whole case could be complicated and messy.